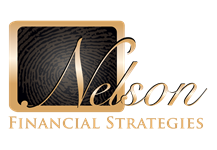 Nelson Financial Strategies is a financial planning firm whose mission is to assist clients with mitigating the confusion and anxiety they experience with matters related to financial, business, and estate planning. We pursue this mission by offering an individualized and comprehensive planning approach, conducting in-depth analysis, leveraging strategic partnerships with other legal and accounting professionals, and recommending distinctive planning solutions. We pride ourselves in the relationships we develop with our clients and our availability to them when needed.